I learned today via post on Nicholas Pickwoad's blog that J.A. Szirmai passed on December 2nd. 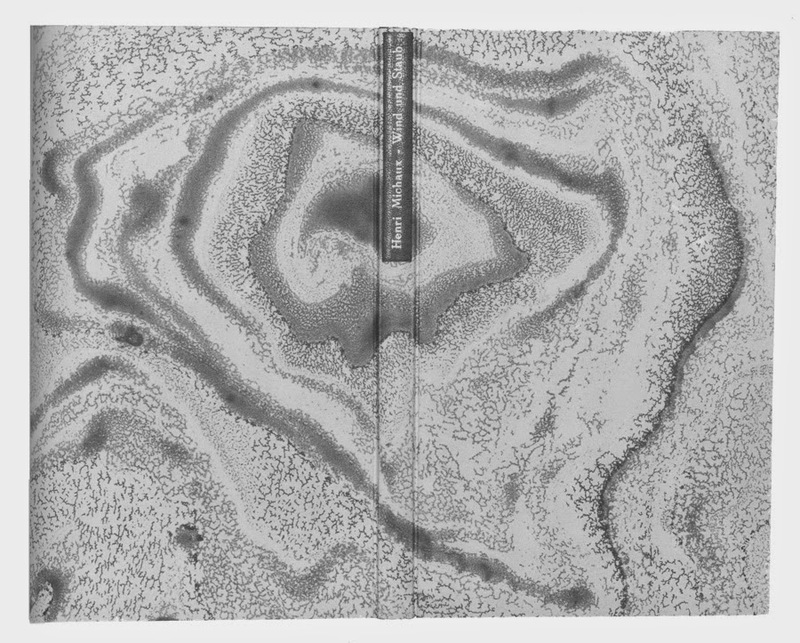 Most of us know him as the author of the iconic Archeology of Medieval Bookbinding. 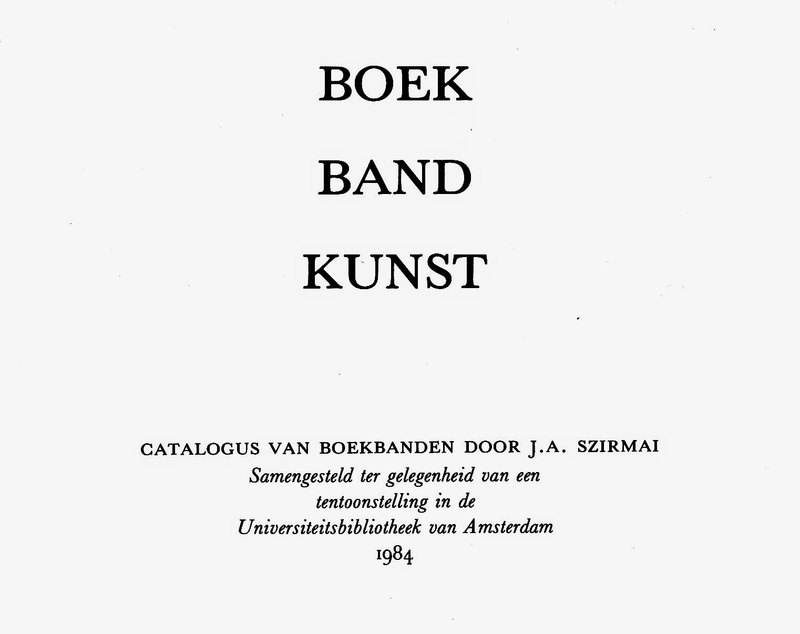 What I would like to do here is show a selection of his design binding, with images taken from Boek Band Kunst, catalog to an exhibit held a the University Library of Amsterdam (NL) in 1984. 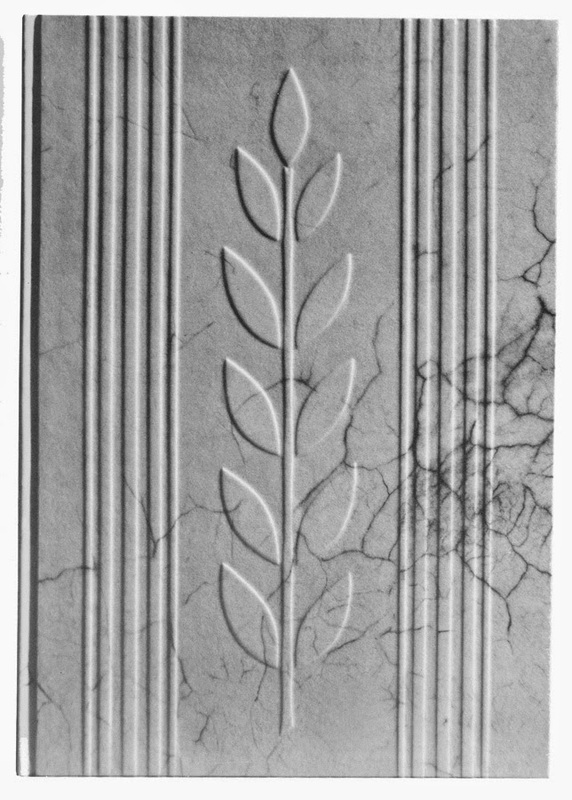 Copies of the richly illustrated (in b/w) catalog can still be found online. Text is in Nederlands. Captions in the original here. Here the link to Nicholas Pickwoad's remembrance of him. Here from his publisher, Ashgate. 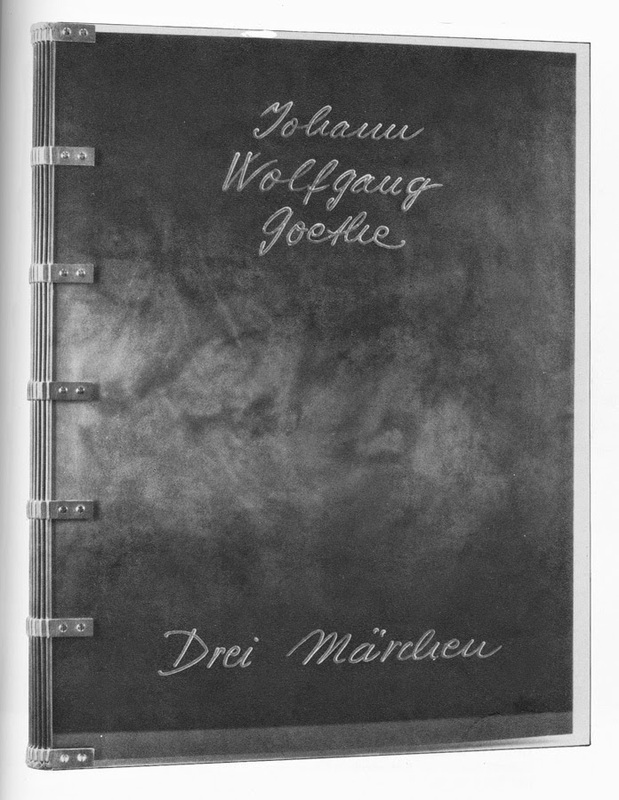 Full veiney calf vellum binding with relief on both boards; dark green Fabriano endpapers; graphite top edge; dark green endbands. Bound1971. 300 x 212 x 11 mm. Millimeter binding with gray oasis goat trim at top and bottom edges; marbled with oil paints in gray and orange; top edge in orange; orange leather endbands; gray gold-stamped leather label. Bound 1978. 236 x 150 x 15 mm. Bound in calf leather, stained in brown tones with acrylic covers; signatures guarded with leather prior to sewing; sewn in beige thread on seven leather straps that are secured in the acrylic with gold screws; endbands sewn using late-medieval style; flexible goat leather inner "boards"/fly leaves backed with brownish Roma paper; title engraved on inside of front acrylic board. Bound 1981. 436 x 338 x 29mm. 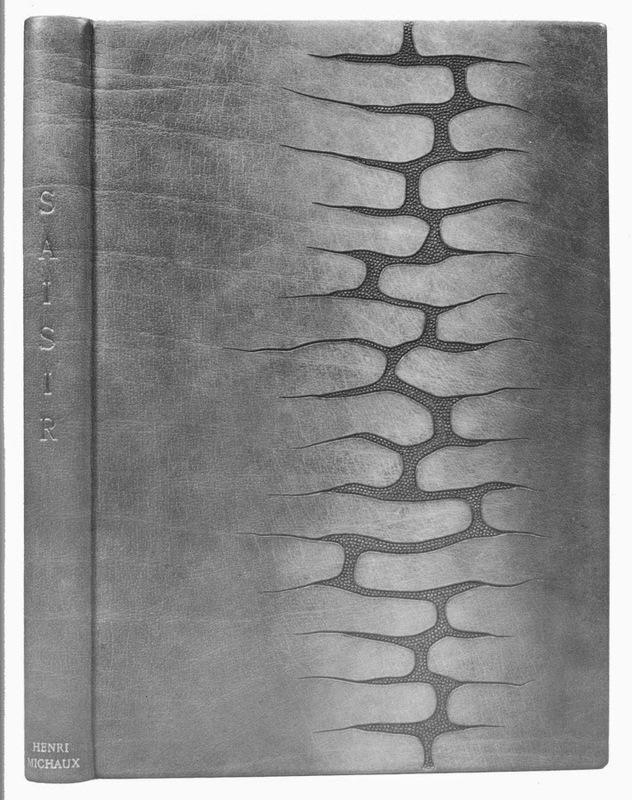 Extra binding in gray dyed calfskin; dark gray Roma endpapers; gray sprinkled top edge; hand-sewn endbands; decor in cut leather (Lederschnitt) with added punching; title tooled in gold. Bound 1983. 255 x 180 x 28 mm. As Pickwoad concluded... we "'will find it in Szirmai' will be heard for many years to come."